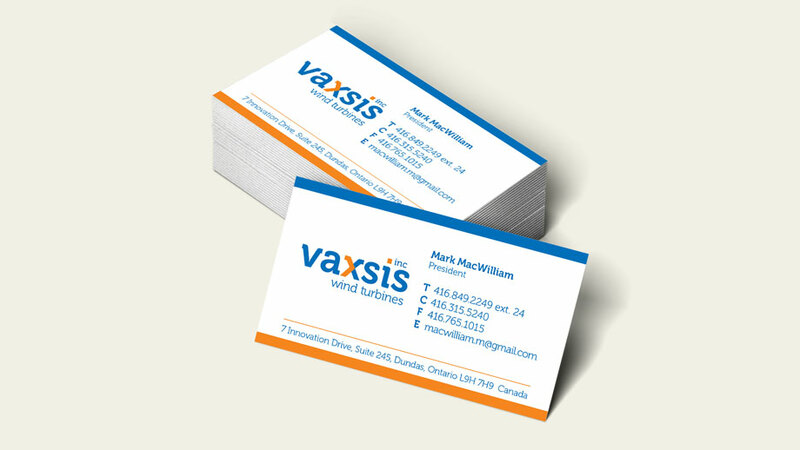 Vaxsis Inc. manufactures collapsible vertical-axis turbines for wind or hydro applications. I chose complimentary colours; blue represents the wind and sky, orange in contrast is enthusiastic and energetic. The inclusion of an arrow in the “X” symbolizes moving forward, and looking to the future for alternate sources of energy.